Get FREE Shipping on Domestic Orders over $30! OR Get FREE Shipping on International Orders over $60! The intense chill of a deliciously sweet candy cane or peppermint hard candy will invigorate your senses with Nutrovape Peppermint Breeze. Each inhalation packs a punch with an in-your-face sensation that will leave your mouth minty fresh and tingly. We know this will be one of your favorite flavors that will keep you coming back for more! 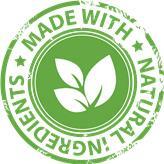 All of our oils are American-Made. We stand by our quality manufacturing and hold our products to the highest American standards. Diacetyl is a dangerous chemical used to flavor foods and some oils. It has been linked to asthma, Mesothelioma, and lung cancer. Rest assured, you are not inhaling it with our product.